Drawing A Blank: The Art of Cody Schibi: Another FREE FRIDAY FUNDAY! It's time for yet another FREE FRIDAY FUNDAY! I'm giving away my "Uncomfortable Scream" print over on Instagram & would LOVE to send it to you. 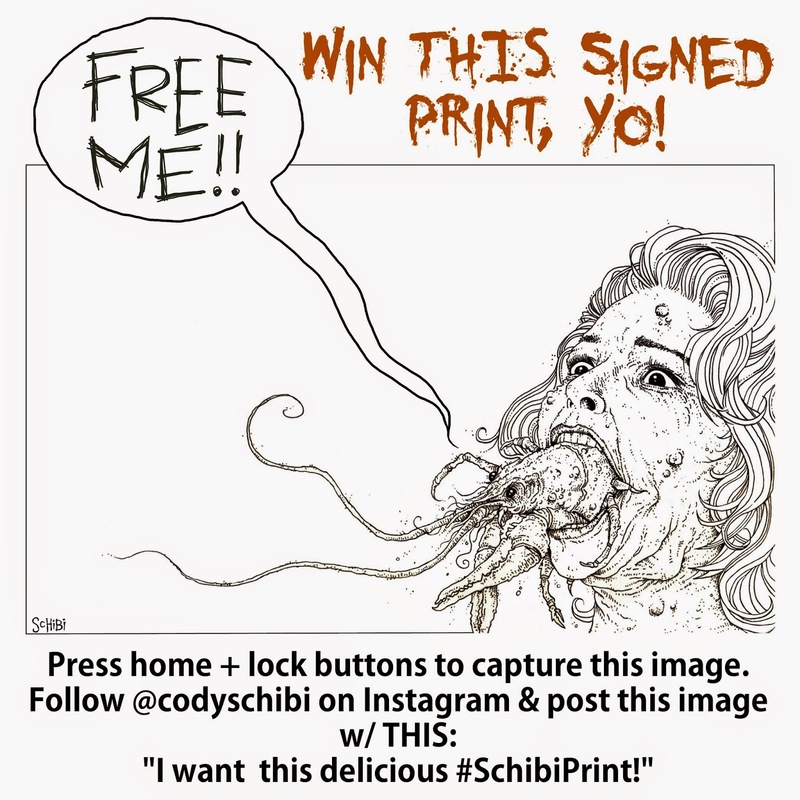 Just go follow me on Instagram (http://instagram.com/codyschibi) & check out the simple steps to enter to win…it's that easy! I'll be picking a random winner later tonight & I seriously hope it's YOU. Good luck & please keep checking back as I randomly do these because I love to give things away to people I love!